We have 69 consumer reports for Trazodone. 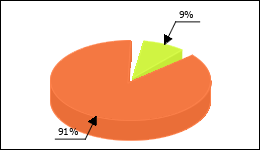 Stuffy nose effect occurred in 9%. In the first few weeks I was able to sleep better. After that very big restlessness and sleep problems. But I’m still in the build-up phase to the final dose (2 tablets daily). The only thing that really bothers me is my constantly stuffy nose, because the drug also has a mucosal swelling effect. Rare NW, but unfortunately very pronounced with me … Otherwise, I am in good spirits that I feel better with the Trazodone than after 17 years of imipramine (especially it does not weigh so much …).